The House of Chanel wedding dress designed by Karl Lagerfeld is photographed at the press presentation of the Costume Institute's Manus x Machina exhibition at the Metropolitan Museum of Art. Rihanna takes a bow as she unveils her Fenty x Puma fashion line. Donald Trump’s 22-year-old daughter, Tiffany, makes her New York Fashion Week debut in her friend Andrew Warren’s Just Drew show. 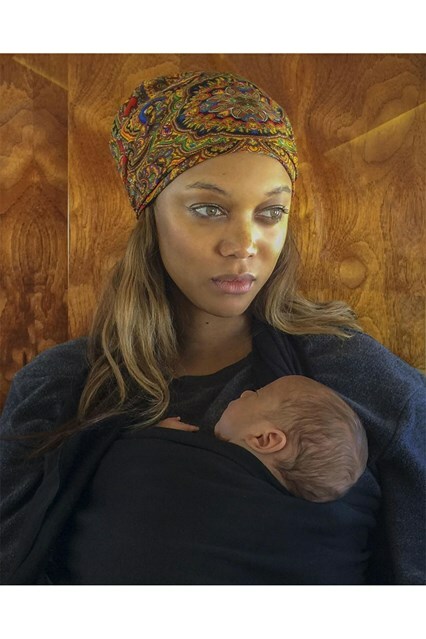 Tyra Banks releases the first photograph of her baby boy, York, on Instagram.